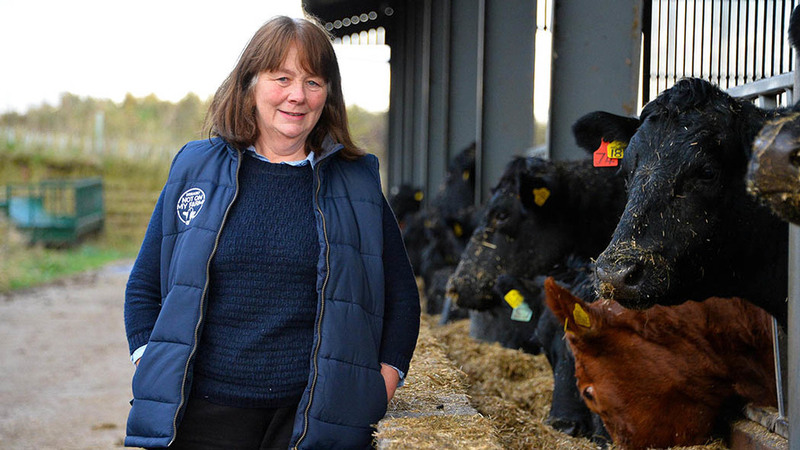 Fiona Skeen and her son Graham who farm in partnership run a beef herd and have vaccinated for BVD for about 12 years and are accredited through the Scottish system. All youngstock are vaccinated for pneumonia every year. They had not vaccinated against clostridial diseases for more than 20 years but then lost two cows last year so talked to their vet, Iain McCormick from Galedin Vets and decided to vaccinate completely. This meant a difficult first year of double dosing but now only new calves need this treatment. One of the main health issues within the herd is summer mastitis in the autumn calving cows and how best to deal with the problem is constantly under review.